Dream Beneath the Stars. . .
Each night we will camp beneath the desert sky. 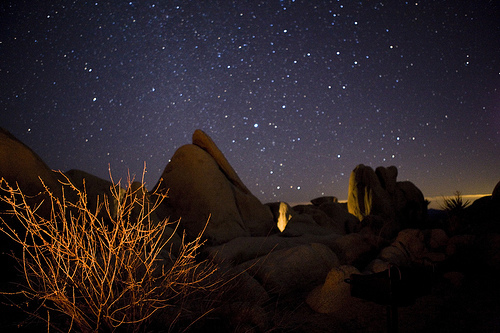 Camping at Joshua Tree is an amazing experience for people new to camping as well as for seasoned outdoorsman. 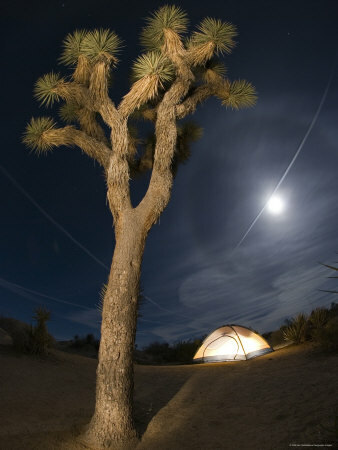 There is something very spiritual about sleeping in nature and the profound quiet of the desert is sure to give you lucid dreams and a great night sleep. There is no need to worry about food and water on this retreat. We have hired some amazing cooks to prepare hearty and nutritious vegetarian meals. We will also be bringing plenty of drinking water to the site to make sure everyone is well hydrated. Your health and safety is our chief concern. At our site we will have a first aid kit to address minor problems. Should you need to see a doctor for any reason, there is a local hospital and emergency room. The ranger station is a short drive from our campsite as well and we will have a mobile phone available at all times.